Organic pumpkin puree can be pricey. Whole organic pumpkins and other local winter squash can often be found for a deal this time of year. Thankfully, learning how to make pumpkin puree from scratch is easy. This basic process is relatively hands-off and results in a yummy puree to begin many sweet and savory dishes alike. You’ll need a high-rimmed baking sheet, a sharp knife, a bowl, and a big spoon. Use a very good knife. Something heavy and sharp is required to get through the cured skin of winter squash. Simply insert the knife at the top near the stem. Slice downward. Move the knife around the squash until reach the other side of the stem. Pull the halves apart. Remove the stem from the pumpkin. Use a big spoon and scrape all the seeds and strings out. 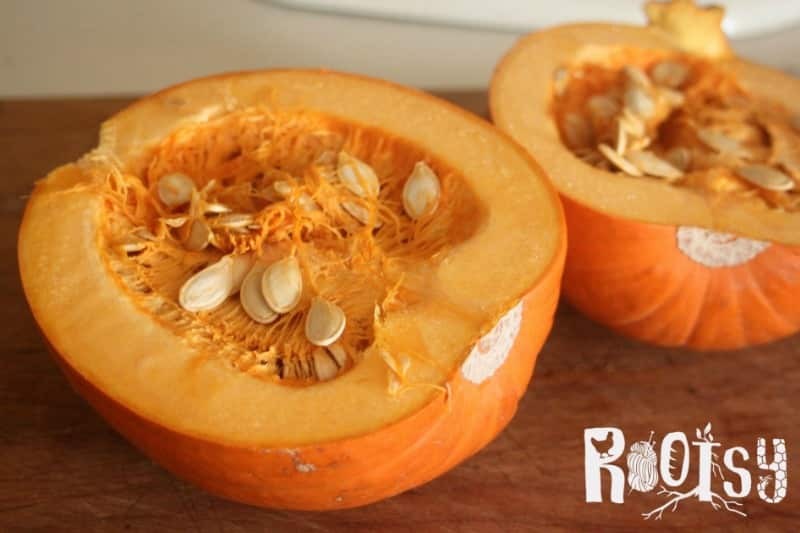 Save and wash the seeds to make roasted pumpkin seeds, if desired. It’s easiest to do this over a bowl. 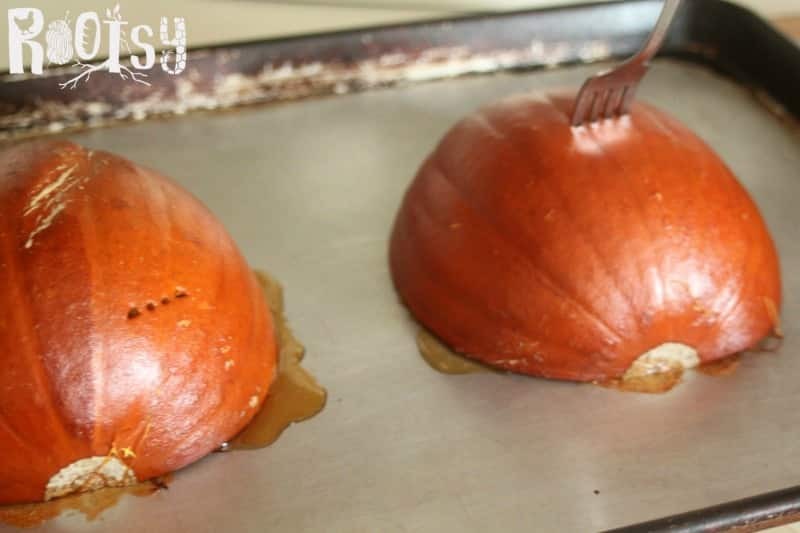 Place the pumpkin cut-side down on the baking sheet. Place the squash into the preheated oven. Bake for 30 minutes to an hour. Time will vary based on the size of the pumpkin. The pumpkin is cooked when the flesh is easily pierced with a fork. Remove from the oven and let cool. Again using a spoon, scoop the flesh from the skin. Lightly scrape the sides of the flesh to remove all the bits of cooked pumpkin. Spoon this into a bowl. 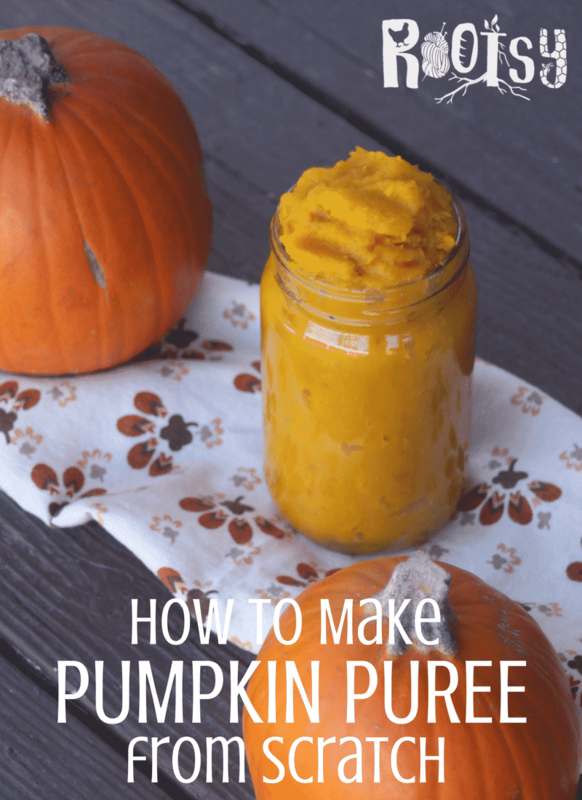 Turn the cooked pumpkin into puree by putting it into a blender (check out these best blenders for juicing) or food processor and pulsing until smooth. Alternatively, mash well with a potato masher. It will keep in a covered container in the refrigerator for up to 5 days. Freeze it for up to 6 months in containers or bags. It is not safe to can pumpkin puree. 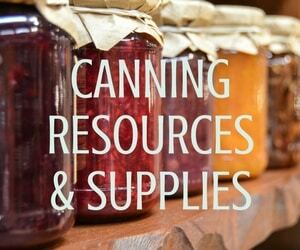 Use your homemade pumpkin puree in any recipe as you would canned. 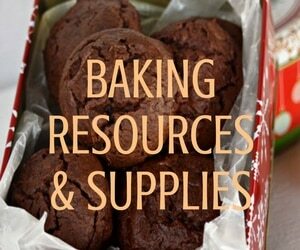 It works for pie, cookies, cakes, soups, and more. Try using it in one of these pumpkin spice recipes. You can even dehydrate it for pumpkin pie leather! 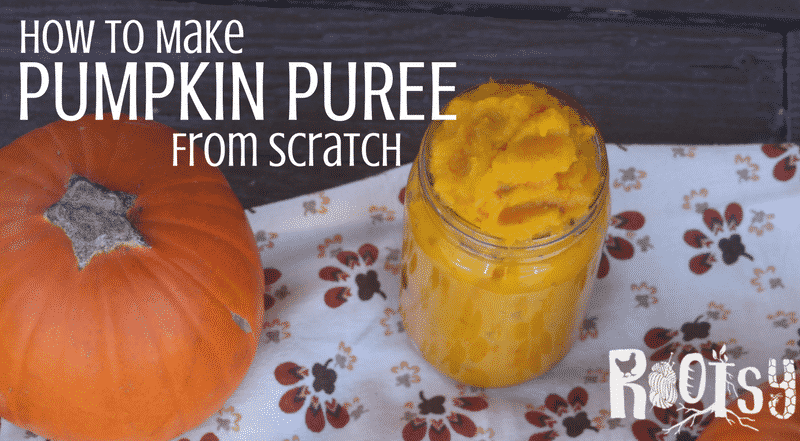 It is as easy that to make pumpkin puree from scratch. So get out there and take advantage of the Autumn seasonal abundance. Have you made pumpkin puree from scratch? If so, what is your method? If not, will you give it a try now? I bake my pumpkins whole as the pie pumpkins I have gotten lately are very hard to cut. Once they cool a bit I take out the seeds etc and go from there. I still roast the seeds. I use one of those Jack-o-lantern knives with the orange handles found in the Halloween decoration department. 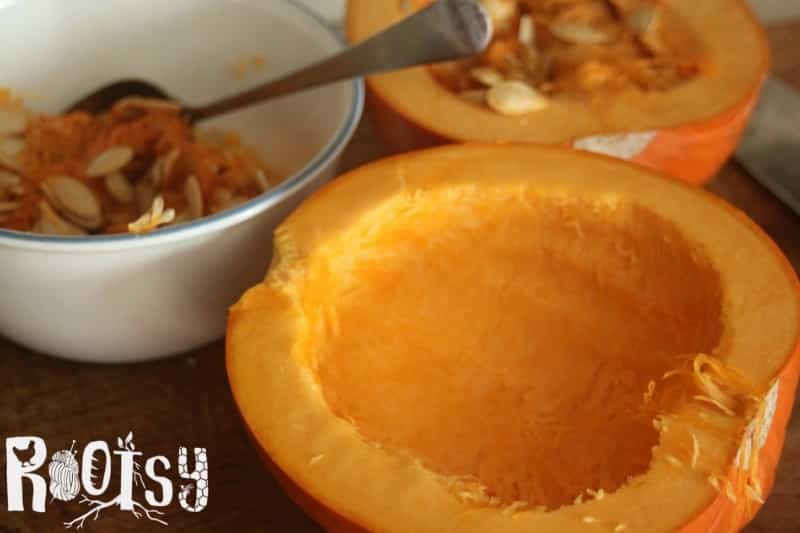 It works well for cutting any winter squash!